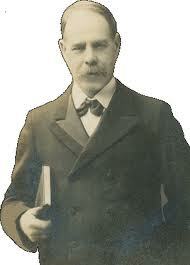 Ordered Smith Wigglesworth devotional book via Amazon !! unable to purchase same in Christian book store !! Good to hear. 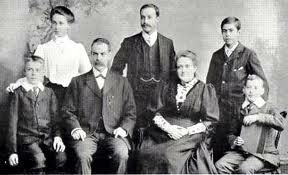 I started reading Simth Wigglesworth’s devotional book last fall. Still going… I enjoy using it everyday. I really think you will enjoy it. He is one of a kind. wow I am moved, this is so inspiring and so powerful. Thanks. Wigglesworth speaks to me too. He is unique. Its funny how the devil has made us think so much about the past things. he always wants as to believe that God worked through people like Bro. 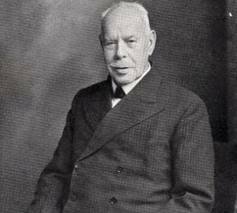 wigglesworth or wesley and He cant be the same today. When Hebrew 13:8 says Jesus is the same yesterday, today and forever! He still heals, fills with the Holyghost and still requires holiness. Actually the devil wants us to warm on a painted fire when there there is a real Fire. Its like assuming a motorcycle becomes a car when its placed on a car garage or washing a pig, giving it sheep feed and calling it a sheep. It will never be for sure! We preach joining church instead of real confession, repentance and baptism of the Holyghost. God still has a non denominational ministry where the Holyghost is the leadership. And where God is ever is not history, raising the dead, healing the sick and the blind see. Not a historical God that never does what He did and promised. Its funny we only accept His servants after they die. After Wigglesworth He raised William Branham but He was rejected by denominations and right now there as so many FALSE accusations against Him on internet about Him. But God vindicated His ministry more than any minister in the 20th century like oral Roberts or Billy Graham. God have mercy on this generation that’s in a sodom condition. Time is over, sin is maturing everywhere. Let’s get back to the first faith, Acts 2:38 and pray for Holyghost. I agree. The Lord is raising up a new remnant of believers who are willing to move in His power and ready themselves to be His bride. Praise the Lord! Amen, I like that!if I look at this great ministers of the Word, Wigglesworth,wesley, and Azusa street preachers they weren’t denominational but immediately they died denominations formed behind them which completely pervert teachings or resist new revelations from God. For example, in the bible baptism was in Jesus Name but today doing that is called cultic and uncommon! ye shall receive the gift of the Holy Ghost. correct according to the Bible. yet received the Holy Ghost into their hearts. Father, and of the Son, and of the Holy Ghost? (Matt 28:19) Did they make a mistake? No! They did exactly as they were instructed. real name, and so does God. own name, him ye will receive. Father, and it sufficeth us. shall receive the gift of the Holy Ghost. come after him, that is, on Christ Jesus. the name of the Lord Jesus. to God and the Father by him.